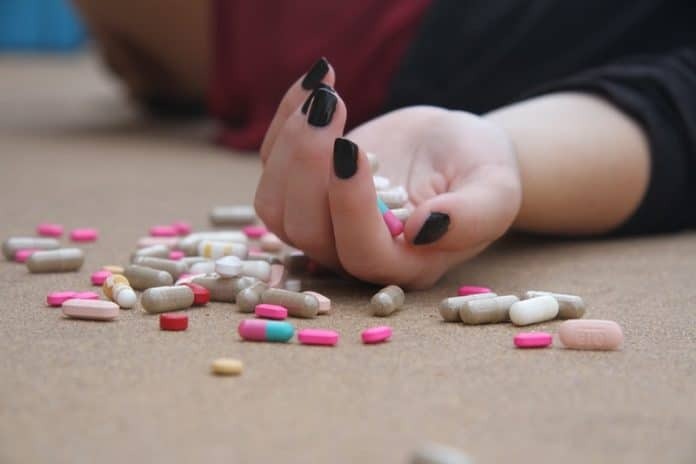 Why Women Drug Addicts Are Just Like You & Me & Athletes : When you think about a drug addict, you probably picture the kind of person that the media portrays. Likely, it’s someone that lives on a mattress on the floor, wears the same clothes everyday, has extremely poor personal hygiene, no motivation, and no job. The fact of the matter is that this picture you’re painting in your head isn’t always realistic. Yes, there are definitely some scenarios where your image fits just perfectly, but people addicted to drugs can blend into society without many people knowing. Addiction isn’t limited to drugs like heroin, meth, or crack. Actually, prescription medicine is becoming more and more commonly abused. Many people start off completely drug free and then begin to take prescription pain relievers after a surgery or major accident. The trouble comes when it’s time for the person to stop using the medication because they’re healed or shouldn’t be experiencing any pain anymore. Some people become addicted to these strong medications like codeine, hydrocodone, oxycodone, and morphine. These over the counter medications can easily turn a law abiding citizen into a junkie. Athletes are another population that is susceptible to becoming addicted to drugs. People often related performance enhancement drugs with elite athletes, but those aren’t the only substances that get them into trouble. Professional or competitive college level athletes lead extremely stressful lives. They have to manage their day to day obligations while training to compete and of course win. All athletes are bound to be injured at least one time in their career. When the priority is to get the athlete back on the field or court rather than help them make a steady recovery, drugs are brought into the picture. Athletes often medicate to deal with the pain of their injuries while they’re still playing the game. They’re more willing to get re-hurt or hurt to a more severe degree than they are willing to sit out of competition. For that reason, many take drugs before the match in order to mask the pain they know they’re going to encounter. This can easily lead to addiction. Athletes are also susceptible to medicating themselves in order to deal with emotional stress and the high-pressure they often face to perform well. This is another reason for the high-risk of addiction. Alcohol is another drug that people often forget can be easily abused. The idea that alcohol is not a drug is a complete fallacy. It’s a substance that can be highly addictive and consume the lives of those who abuse it. Because alcohol is such a common place substance that is used re-creationally, socially acceptable, and legal, it’s hard to identify an alcoholic from a person who likes to have fun. The definition of a drinker that does not have a problem maxes out at 1 drink per day for women and 2 drinks per day for men. We all know the guy who loves to taste his craft beers or sip on stiff bourbon, and that lady that enjoys her fruity cocktails, but how much is too much? Alcoholism sets in when you find yourself drinking more than you wanted to or longer than you intended on. When you’re craving alcohol or experiencing withdrawal symptoms when you don’t have alcohol in your system, you should be suspicious of having a problem. Again, when you’re thinking about what an alcoholic looks like, you’re probably picturing a mess. However, you might be friends with an alcoholic and not even know it. The signs may not be obvious, but if you suspect a loved one, co-worker, or friend of abusing drugs or alcohol, it’s important to intervene immediately. Your best bet is to call a treatment center in Los Angeles like Nexus or somewhere else near you. They can help with setting up a treatment program and getting your loved one clean and addiction free.